EDINBURG — Although the skeletal remains found in a septic tank in rural Edcouch last month have yet to be identified, the Hidalgo County Sheriff’s Office has identified the killer. 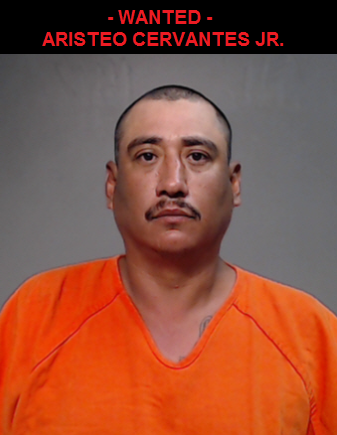 The sheriff’s office announced Thursday it has issued an arrest warrant for Aristeo Cervantes Jr., 40, for capital murder after Cervantes confessed to killing a female during the course of the investigation. The investigation started June 26 after residents called to report they had discovered a human bone in their septic tank. Cervantes — who owns the home — told investigators he killed a woman about 10 to 12 years ago and left her body in the septic tank, according to a news release. Cervantes is currently in a Beeville prison serving a 12-year sentence for stabbing his wife in 2015. The sheriff’s office is working with the district attorney’s office to make arrangements to formally charge Cervantes for this new crime. The remains will be sent to a private lab for DNA comparison and the sheriff’s office is researching missing person reports to identify the woman.